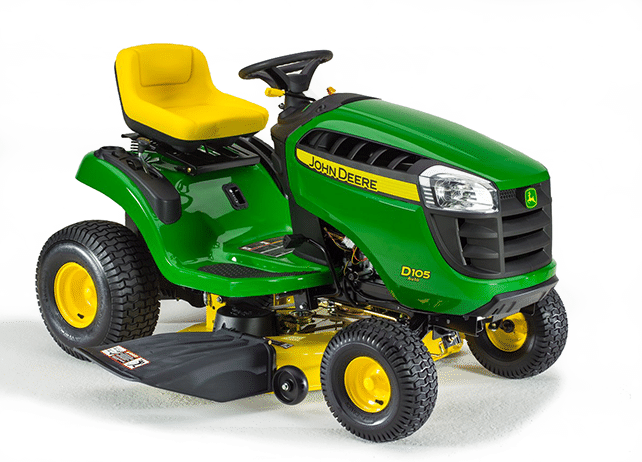 It’s been a long time since I’ve written an article about the John Deere mowers at all so it’s time to give you a thorough update. 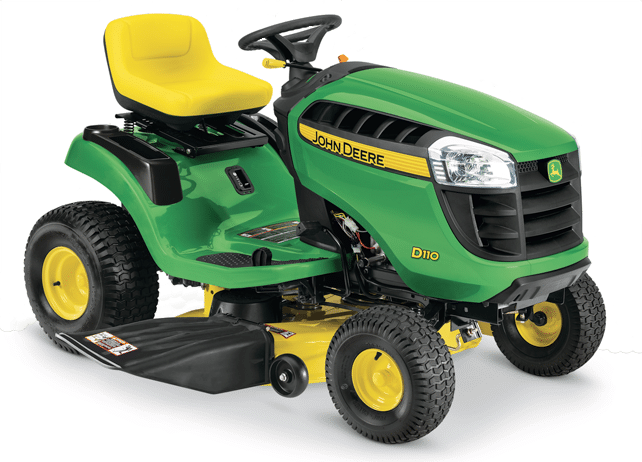 This is my review of the 2017 John Deere D100 Lawn Tractors. The 100 series consists of the D105, D110, D125, D130, D140, D155, D160, D170 Lawn Tractors. 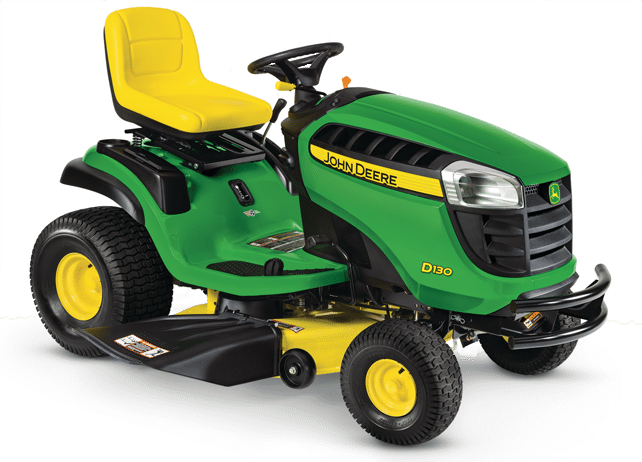 When you get done here stop by and read this new, updated article: Which New 2018 John Deere E100 Series Lawn Tractor Is Right For Me? Fake news, misinformed news or more to the point “my uncle’s brother’s 2nd cousin’s mechanic” is alive and well in the riding mower industry with Google indexing the lawn tractor forums and other sites where opinion means more than the facts it is really hard to figure out what riding mower is best for you. 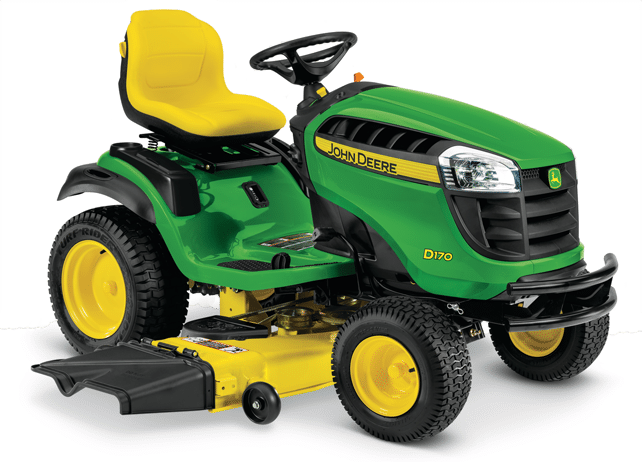 In this section I will separate the facts from the opinions so that you can make a better decision in regards to a John Deere 100 series lawn tractor. Reason Three: Backed by the John Deere Promise. 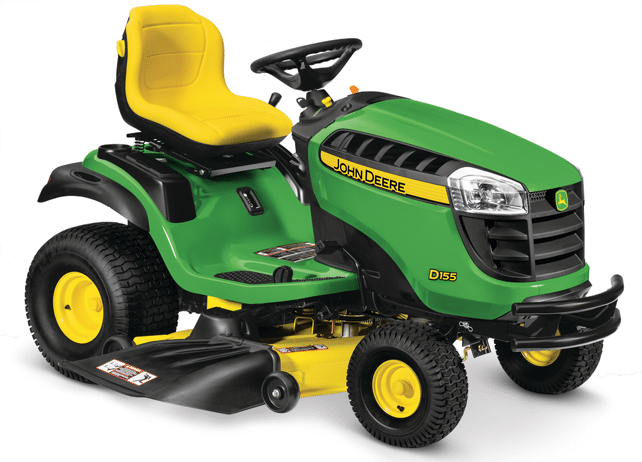 Click here to read the 30 day money back promise: John Deere Home Trial Note: Your local Lowes and The Home Depot’s return policy may override the John Deere dealer promise. Please check with the dealer located on the sticker on the mower to be sure. As a group there is nothing wrong with these lawn tractors, they are great riding lawn mowers. But there are two models I don’t recommend to most people. The John Deere 100 series are very competitive machines when compared to the current Cub Cadet and Craftsman for cut quality, bagging and mulching. They are consistently better than the Husqvarna, Poulan Pro, and Simplicity lawn tractors for cut quality, repairs and initial quality. “Made Right from the Start. This is what happens when you don’t take short cuts. Unfortunately, a few manufacturers have also used this transmission in lawn tractors that are a little too heavy, use too large of tires and/or too large of deck. When they do that, the transmission has to work too hard and fails much sooner than it was designed too. The John Deere D170 is one of those tractors. The rear 22 inch tires and 54 inch deck will cause this transmission to fail within a few hundred hours if used for anything but mowing a flat lawn. Paul is it possible to replace the K48 transmission with the bigger K58 transmission? wonder what about the price? My L118 is 13 years old and from day one it’s been hard to start. Below 75 degrees and it cranks for over a minute with copious amounts of starting fluid to get it going. Pleas, what it the simple one-screw adjustment that will get this sucker to start? Hi Paul, this information is very informative. Thanks for putting this together. What are your thoughts on an L120 with around 200 hours. I have a slight sloping yard, 1 acre or so. physically it appears fine. any thought on this model. They are looking for 800 which I am not sure is reasonable or not. Another neighbor has a barely used D130 (15 hours of use) for 1400. The d130 has a 42 inch deck vs 48 for the L120. Any suggestion would be appreciated. Thank you for the informative article. Do you know much about the older L110 Series? I could not find much online, but was offered one with about 350 hours. Seemed like they kept it in good condition and has a cart, but wanted to get some more information if you know about it. It appears to be from around 2004 from what I could find online. Thank you! What’s the difference between the D series and the E series? Looking over the listings it seems the D110 is the same thing as the E110 but i see them both listed for sale. 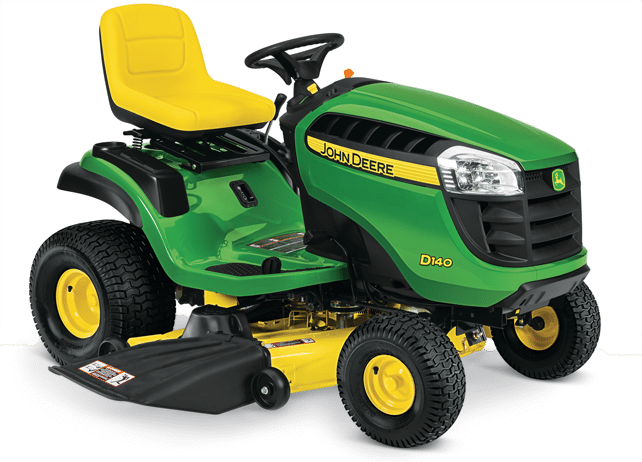 Hi Paul, I bought a John Deere D140 from Lowes in June 2017. The mower cut poorly right out of the gate, uneven cut. Checked deck height and tire pressure with all checking out ok. Today (oct. 25) I dropped the deck to sharpen the blades and clean out the grass and I found the problem.The blades were upside down…..UPSIDE DOWN! The only upside to this discovery is I don’t have to sharpen the blades because the cutting edge has never touch grass! I feel a couple mowers may slip through the cracks of the ten point inspection. Replacing an old Scott’s S1642 I have had for 7 years and bought used for $250. 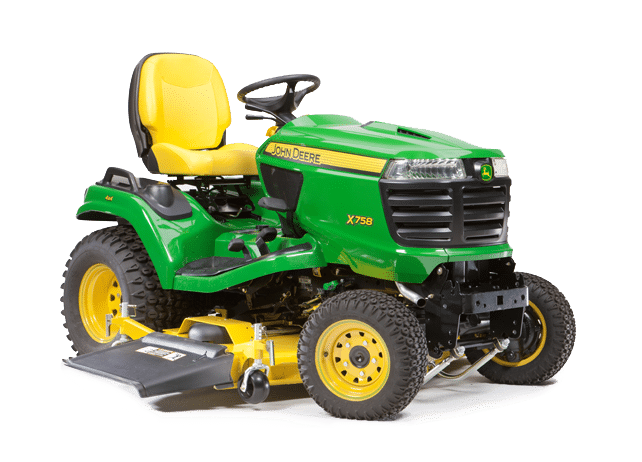 Looking for a new lawn tractor. We have about an acre with some hills the Scotts had no problem with. Would like the option to use a plow to take care of our 1/4 mile drive. I don’t bag. Loved the old Scott’s. Do you have a recommendation? Was looking at JD and Craftsman but having a hard time sifting through all the up and down ratings. 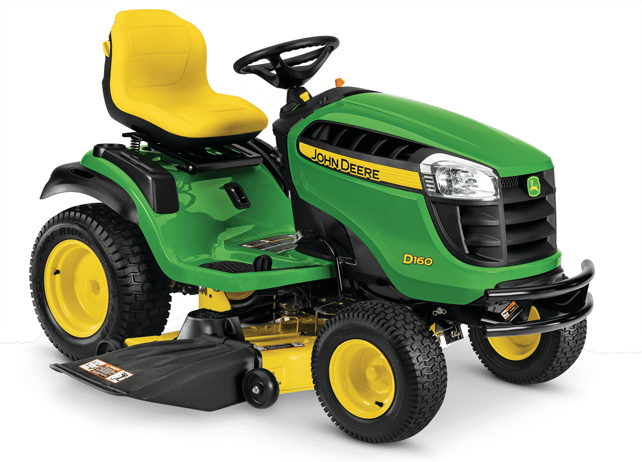 What factors would push someone up to a 300 or 500 series JD? Also, what would you say is the main reason to go to a 4WD lawn tractor? What is the entry level 4WD that you would suggest? It sounds like the D160 would be a good selection for me, but I wonder about having 4WD because sections or transitions in my yard have a pretty good slope. I bought a John Deere 105D this year and the belt tension has recently became so loose that I have to continually put the belt back on. I looked up and found that it is suppose to have a tensioning bracket but instead of being bolted as shown in the directions, it seems as if they have started welding the bracket on. How am I suppose to adjust the tension? 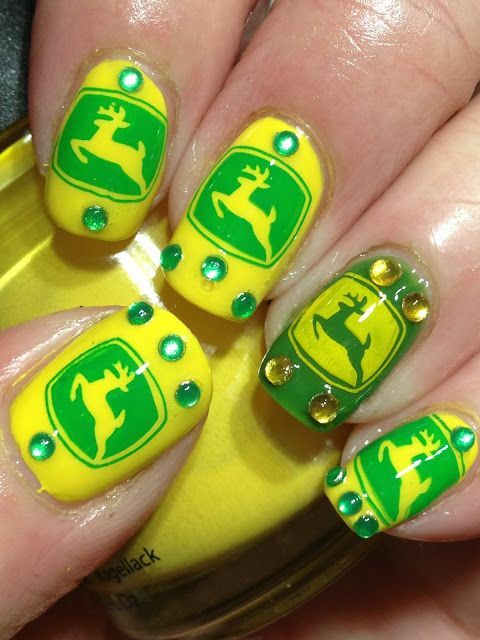 Hi Paul, I was wondering if you could tell me the difference between the John Deere S240 Sport and the John Deere 160? What factors differ between the two that justify spending more money for the S240 Sport when it has a smaller cutting deck and smaller engine than the 160? I live in the woods with sloping terrain, which tractor would be more suitable for on hills? Is it worth the extra $$ for the JD S240? I pull a 17p cart and cut a 1 acre mostly flat. I plan to keep the tractor long term. I just sold my (worn out) L100 and purchased a zero turn. I am disabled and can’t really use my right foot, I would have liked a D series but I am very disappointed that the entire line now requires of a pedal on the right side! Bring one back without a right pedal!